"Creatively mashing up photography and bold illustration, this chunky book is the best read for little animal lovers." "A colourful, busy and lively new book offering more than 200 pages of dip-in-and-out wildlife facts for younger children." "...I love animals and this book is perfect for me as it helped me to learn even more... My new favourite book!" "What a lovely first encyclopedia of animals... The book is colourful and has a really clean layout which encourages children to work their way through the book"
"A fantastic book... with loads of good information in it. It's clear and well laid out and is appealing to children... Great non-fiction book to have, would make a lovely present"
"Both my 3 and 7 year old have spent the last three days sharing this book between them at every opportunity!... I would definitely recommend this book to any one with children below the age of around 11. There is so much you can learn and explore"
"A HUGE book full of interesting facts about lots of different animals. My daughter loved identifying them... A book that will be referred too for many years to come"
"A delightful book to return to time and time again... We can easily pick it up and read a page or so at a time. Perfect for animal lovers"
Gold Winner for the Best New Book in the Smallish Design Awards 2017. Silver Winner for the Best Children's Book in the Junior Design Awards 2017. For little animal lovers who want to know everything. From birds and frogs to sharks and dogs, this book is perfect for the curious little animal lover in your life. Mixing photography and charming illustration, kids will discover important facts about the wonderful world of animals - from what they eat and where they live, to why people are animals too. 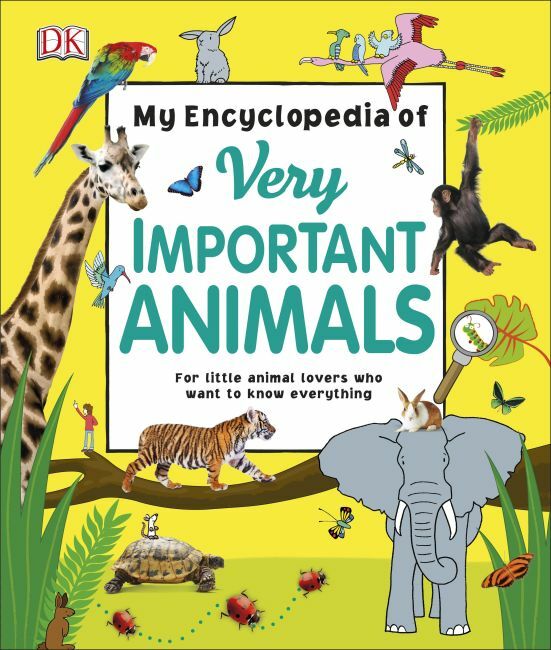 My Encyclopedia of Very Important Animals is a friendly book that gets children learning, reading, and laughing!